At any age, good skincare starts with protecting your skin from avoidable damage, particularly sun damage, and establishing a sensible basic daily routine matching your skin type. However, in the fourth and fifth decades of life your physiology (especially if you are a woman) changes dramatically. If you are to retain as youthful a look as possible, your skin care will have to change as well. After 40 skin faces more challenges with fewer resources The fourth and fifth decades of life are characterized by a marked decline in the levels of various hormones and growth factors. Cell damage has accumulated in many tissues; the skin is one of the most affected. As a result, the rate at which the skin renews and repairs itself becomes much slower. Women in their 40s and 50s, 60s experience particularly dramatic hormonal changes because they either approach or undergo the menopause, which causes a dramatic decline in the hormones produce by the ovaries: estrogens and progesterone. The loss of these hormones causes a decline in the synthesis of collagen, elastin and other components of skin matrix, reduces the production of sebum (skin oil) and thus leads to skin thinning, dryness and other negative changes. Notably, the effects of declining testosterone in men are somewhat similar but not as marked or abrupt. Another problems of older skin is excessive inflammation. While usually not visible to the naked eye, age-related skin inflammation manifests in higher levels inflammatory mediators (cytokines, prostaglandins and others) and abnormal activity of certain immune system cells. Inflammation increases the production of harmful free radicals and leads to increased cell damage, degradation of skin matrix and other problems. Thickening and drying up of the outer layer of the epidermis (stratum corneum) leading to the dull, parched appearance. Thinning and weakening of the skin's middle layer (dermis), which is the layer responsible for the skin's strength, firmness and resilience. This leads to the accelerated development of fine lines and wrinkles. Progression and deepening of motion wrinkles and creases. Motion wrinkles are those developing in the area where facial movements result in skin folding. Weakened dermis cannot cope with continuous folding of the skin, which leads to a rapid deepening of motion wrinkles. Development of uneven pigmentation, discolorations, broken capillaries, redness and other blemishes associated with skin aging. There are hundreds if not thousands topical skin rejuvenation treatments on the market, from wrinkle creams to eye serums to lifting gels. If all of them worked as advertised, anyone with a bit of extra cash could have a skin of a fifteen year old. In reality, relatively few topical agents are clinically proven to improve wrinkles and other signs of skin aging. Others are supported by some positive evidence but not enough to confidently say that they work. Numerous others aren't backed by any reliable science at all and can even be harmful. As you may know, cosmetics is not regulated by the FDA. Hence it is largely up to the manufacturer's conscience not only to ensure effectiveness but safety as well. Conversely, it is up to the consumer to buy wisely. Clinically Proven Effective * if formulated correctly: correct concentration, correct molecule formation, correct base, and applied correctly. Copper peptides (don't use concurrently with vitamin c-they cancel each other out), Alpha lipoic acid, Coenzyme Q10 (Idebenone), Lycopene, Astaxanthin, DMAE, Green tea & White tea, MMP inhibitors, Furfuryladenine (Kinetin), Progesterone (many cautions with it), Hyaluronic acid (although it can dry the skin out more in dry weather), Palmitoyl pentapeptide-4 (Matrixyl), Palmitoyl oligopeptide / tetrapeptide-7 (Matrixyl 3000). What background information is available on niacinamide and nicotinic acid? While the nutritional value of niacin (vitamin B3) may be well recognized, the skin care benefit of topically applied niacin is a recent discovery based on recently published studies. Niacin (vitamin B3) has two potential forms that can be used in cosmeceuticals: niacinamide (nicotinamide) and nicotinic acid. It is debatable as to whether these two forms of niacin are interchangeable as topical cosmeceuticals. Some studies claim that niacinamide and nicotinic acid are readily converted into each other in vivo40 while other studies speculate that niacinamide and nicotinic acid may have very different pharmaceutical activities despite having identical vitamin activities.41 In other words, nicotinic acid may have more benefits than topical niacinamide on the skin due to the fact that in addition to having the vitamin effects on skin (increasing levels of niacinamide adenosine dinucleotide [NAD]), it may also have drug-mediated effects on skin via interacting with nicotinic acid receptors present in the skin.41–44 Yet, the disadvantage of using nicotinic acid as a topical cosmeceutical is its unpleasant side effect of vasodilation that results in skin flushing. This is an effect that is not harmful but intensely disliked by most patients.45,46 In contrast to nicotinic acid, niacinamide does not cause skin flushing nor does it cause changes in blood pressure, pulse, or body temperature.47 Due to the decreased number of side effects of topical niacinamide compared to nicotinic acid, the effects of niacinamide as a topical cosmeceutical agent have been studied more to date. Niacinamide, also known as nicotinamide, is the precursor of important cofactors niacinamide adenosine dinucleotide (NAD) and its phosphate derivative, niacinamide adenosine dinucleotide phosphate (NADP). These cofactors and their reduced forms (NADH and NADPH) serve as reduction-oxidation (redox) coenzymes in more than 40 cellular biochemical reactions. Thus, niacinamide has the potential to exert multiple effects on skin and is a promising anti-aging cosmeceutical ingredient. What data is available on the percutaneous absorption of niacinamide? What are the potential mechanisms of action of niacinamide? Antioxidant capacity. Niacinamide increases the antioxidant capacity of skin after topical application by increasing the reduced forms (NADPH), which have potent antioxidant properties.53–55 This is probably the most well-studied anti-aging effect of niacinamide. Erythema and blotchiness. The mechanism by which redness/blotchiness is improved may be related to the improved skin barrier function for reasons discussed above.50,60,61 Increased barrier function may mean less irritation and redness when the skin encounters environmental insults, such as detergents and soaps, and hence less reddening of the skin. However, this theory has not been substantiated. The second mechanism that may be relevant to decreasing the appearance of wrinkles is the ability of niacinamide to reduce excess dermal glycosaminoglycans (GAGs). This is a controversial theory because both the elevation and depletion of dermal GAGs are associated with photodamaged or wrinkled skin.52,69 What is known is that the presence of GAGs is required for normal structure and function of the dermal matrix and increasing the levels of GAGs can increase the moisture content of skin. Testing has indicated that niacinamide reduces excess production of GAGs in old human dermal fibroblasts, thus supporting the potential involvement of this mechanism in reducing the appearance of fine lines and wrinkles.51,70 Given the above analysis and scientific data, it seems more likely that an increase in dermal proteins (including collagen) may play a bigger role in reducing fine lines and wrinkles than decreasing the level of GAGs. What clinical studies are available on niacinamide? One of the best randomized, double-blind, split-face, placebo-controlled, clinical trials published on the anti-aging effects of topical niacinamide was done by Bissett et al.51 In this study, 50 white females with clinical signs of photodamage applied 5% niacinamide to half of the face and its vehicle control to the other half twice daily for 12 weeks. Analyses of the data revealed a variety of effects related to improvements in skin appearance for topical niacinamide including reductions in fine lines and wrinkles, hyperpigmented spots, red blotchiness, skin sallowness, and improvement in skin elasticity.51 Matts and Solenick later confirmed the results of Bissett et al with 5% and 2% niacinamide.59 The results also demonstrated that the anti-aging effects of niacinamide were dose dependent. What conclusions can be drawn from data on niacinamide? The topical use of niacinamide for anti-aging has proven to be effective not only when there are signs of a niacin deficiency. Despite the recent discovery of the cosmetic benefit of niacin for the skin, there have been sufficient studies completed to answer all three “Kligman questions.” It is the opinion of the authors that niacinamide is one of the best studied cosmeceutical ingredients for anti-aging. However, further research is required to uncover the specific mechanisms of niacinamide in the skin and to optimize the concentration of niacinamide in cosmeceutical formulations. Is there additional information on nicotinic acid? In a clinical study by Jacobson et al,76 MN increased skin cell NAD by 25 percent (p=0.0001) demonstrating effective delivery. Relative to placebo, MN treatment of photodamaged facial skin increased SC thickness by approximately 70 percent (p=0.0001) and increased epidermal thickness by approximately 20 percent (p=0.001). In two separate studies, MN treatment increased rates of epidermal renewal by six (p=0.003) to 11 percent (p=0.001) and increased the minimal erythemal dose by 8.9 (p=0.07) and 10 percent (p=0.05) relative to placebo. MN treatment also resulted in reductions in the rates of TEWL of approximately 20 percent relative to placebo on cheeks and arms of study subjects. The above data demonstrates that topical nicotinic acid preparations can enhance epidermal differentiation and barrier function, suggesting that it may be effective in the treatment of photodamaged skin and other conditions (such as atopic dermatitis) with skin barrier impairments. However, it is hard to compare these results with the results presented above on niacinamide since not all of the same attributes were monitored (such as redness, yellowing, wrinkling, etc). Further investigation is needed to compare the efficacy of MN to niacinamide. Both niacinamide and nicotinic acid have significant numbers of published studies to answer all three major questions to date. However, there is more data available on the anti-aging effects and mechanisms of topical niacinamide. 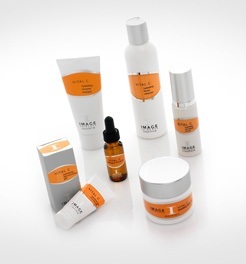 I carry PCA in all of these formulations and Image for the vitamin C and retinol. These are all in proper formulations to function as intended in your skin.